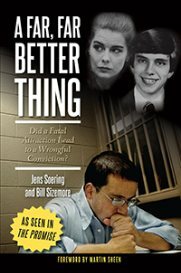 CHARLOTTESVILLE, Va. (WINA) – Another veteran law enforcement officer has joined the effort to see convicted killer Jens Soering pardoned. The former UVA student is serving life in prison for the murder of his then-girlfriend’s parents, Derek and Nancy Haysom. On Monday afternoon, retired FBI agent Stan Lapekas joined long-time Soering advocates Albemarle Sheriff Chip Harding, retired Bedford County investigator Chuck Reid, and retired Charlottesville detective Richard Hudson at a news conference. Lapekas was able to learn by way of a FOIA (Freedom of Information Act) request that the FBI had conducted a psychological profile in the case early on. But Major Ricky Gardner of the Bedford County Sheriff’s Office, who worked the case, has stated that there was no FBI profile. “Was finding the FBI document the smoking gun that could release him? Absolutely not, but it should certainly cause doubt on the entire investigation,” Sheriff Harding said. The profile concluded that the suspect or suspects were likely close to the Haysom family, and likely female. 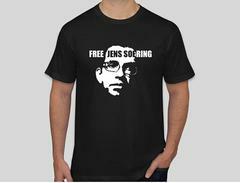 Blood found at the scene was determined to be the blood of a type O male, and Soering has type O blood. But samples tested recently showed type O blood from two different males, but neither of them Soering. The letter signed by the four and submitted to Gov. Ralph Northam includes a call for speedy resolution, noting that almost 20 months have passed since Jens Soering filed for a pardon.